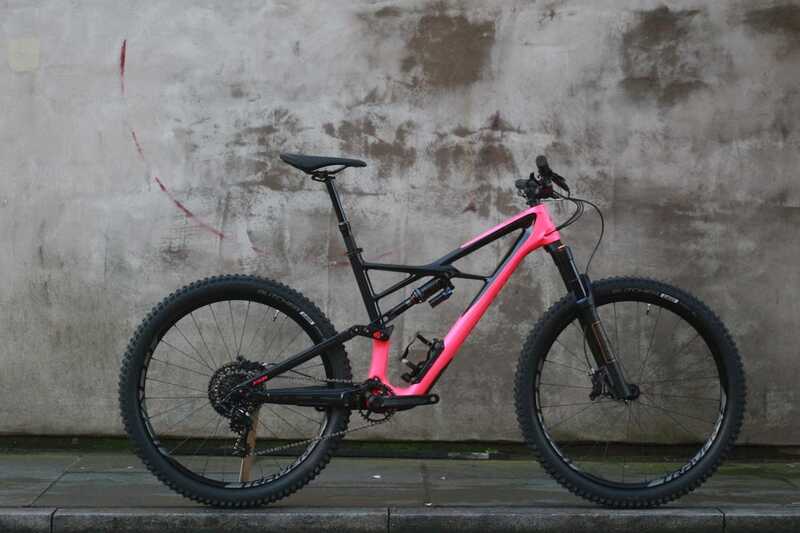 Fresh in the office this week is a rather stunning hot-pink Enduro from Specialized. It’s the brand new 2018 model, and represents the latest generation of the Enduro platform – a name that has been in circulation now for over 18 years! 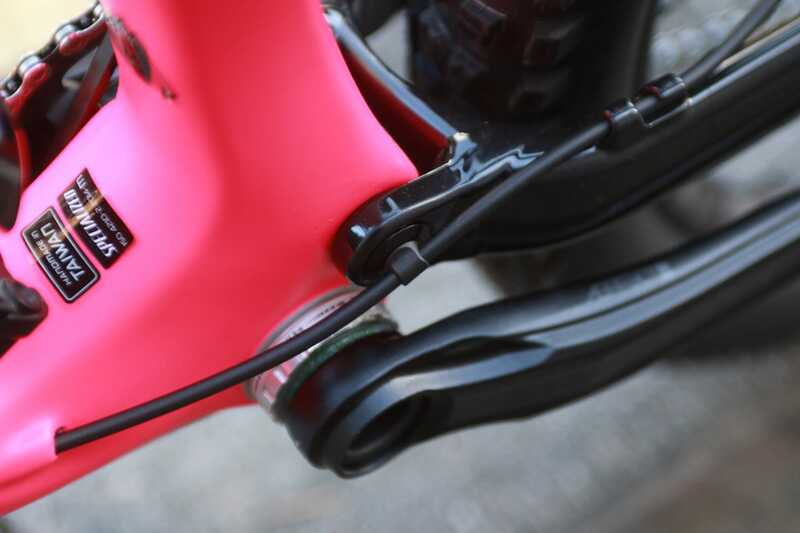 Although a new Enduro platform had already been released for 2017, Specialized decided to refresh the geometry for 2018, with most of the key angles and reach measurements changing just 12 months on. 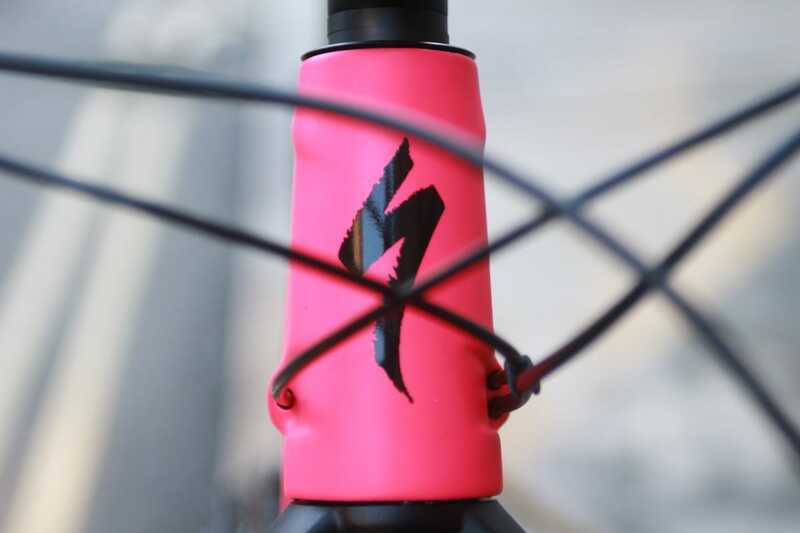 While that sounds like an expensive proposition (and something that most brands will only do every three years or so), the word on the street is that Specialized had recently changed factories, and was given the option to alter moulds if needed. So they did. And now we have the 2018 Enduro. Specialized a new Enduro last year. 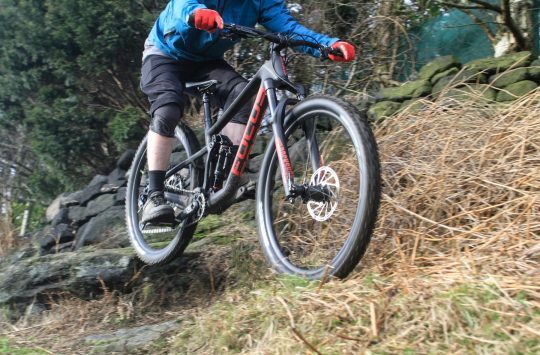 That one’s gone now though – say hello to the new, new Enduro! “Ok, we’ll admit. 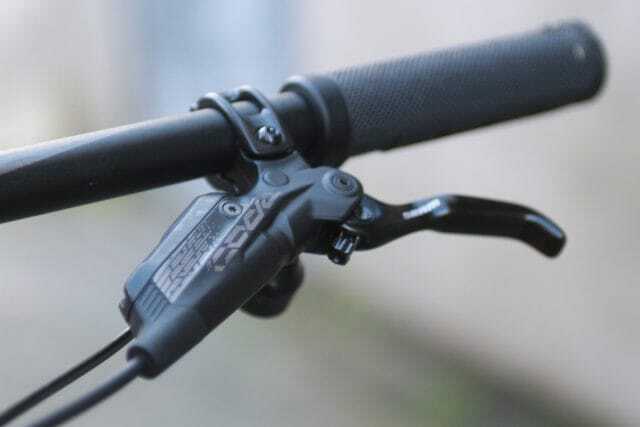 We’ve been geeking out over the Enduro Elite 650b for a while now. We know that we made it and everything, but still, its design just kind of rules. 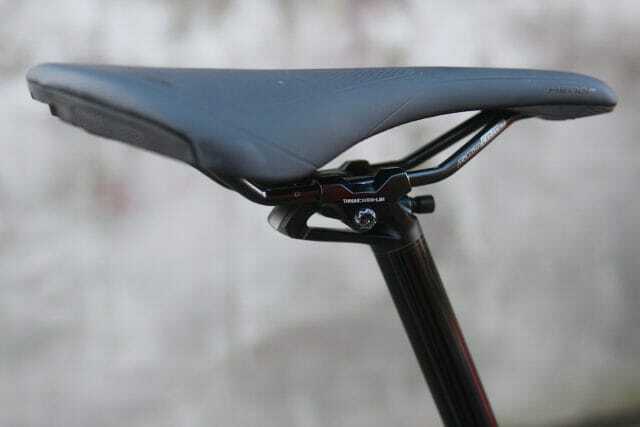 We gave it a geometry features a slacker front end, a longer top tube, short chainstays, and a lower bottom bracket. All of this together makes the bike truly feel glued to the ground, and the platform is more responsive and capable then ever” – From Specialized. For 2018, you’ll be able to get the Enduro in 27.5in and 29in versions. 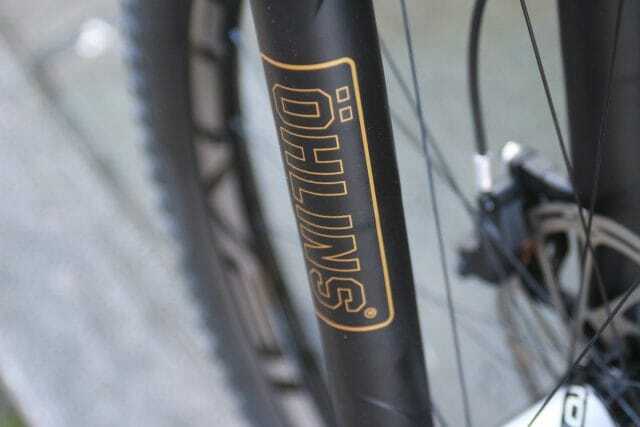 The latter will accommodate 27.5+ tyres as well. We’ve got the 2018 Enduro Elite 650B, which features a carbon front end and an Ohlins RXF 36 fork for maximum SHWING! 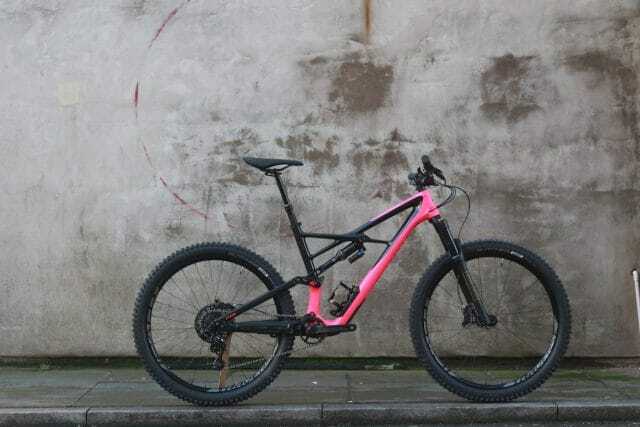 The 2018 Enduro comes in two versions: the Enduro 650b and the Enduro 29/6Fattie. 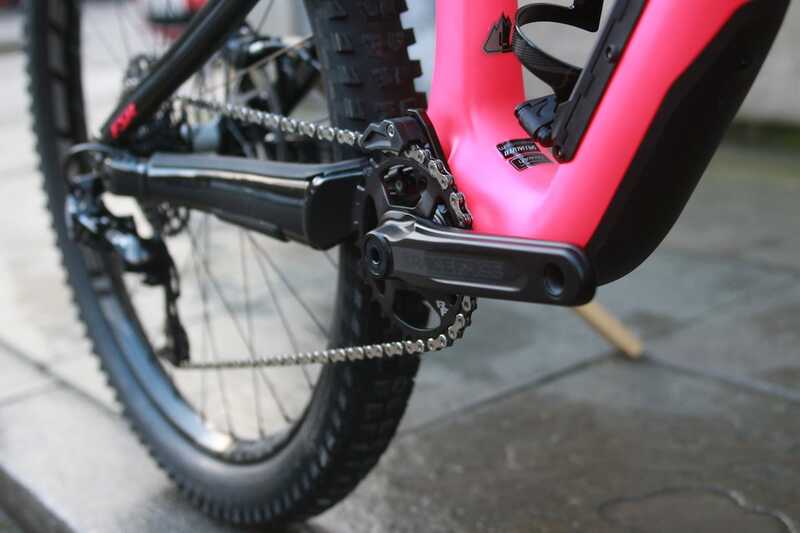 While both bikes share a similar suspension and frame design, the 27.5in model (which we’ve got here) features 170mm of travel front and rear, while the 29er model runs 160mm travel front and rear. 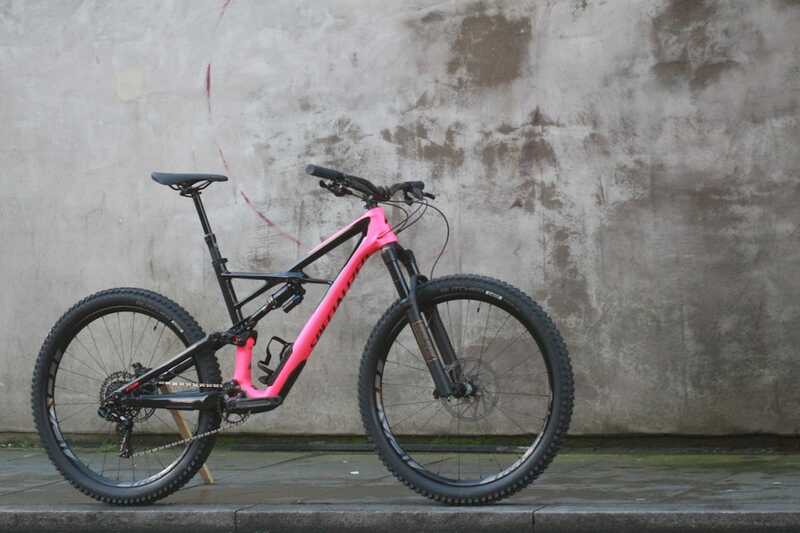 There are both alloy and carbon frames available, and the range kicks off at £2999 for the base-level Enduro Comp. The next step on the ladder is the Enduro Elite, which is upgraded to a FACT 9m carbon fibre mainframe, and features a tasty suspension package that includes an Ohlins RXF 36 fork and a RockShox Monarch Plus rear shock, complete with Specialized’s own damper tune and the AutoSag valve for easy setup. 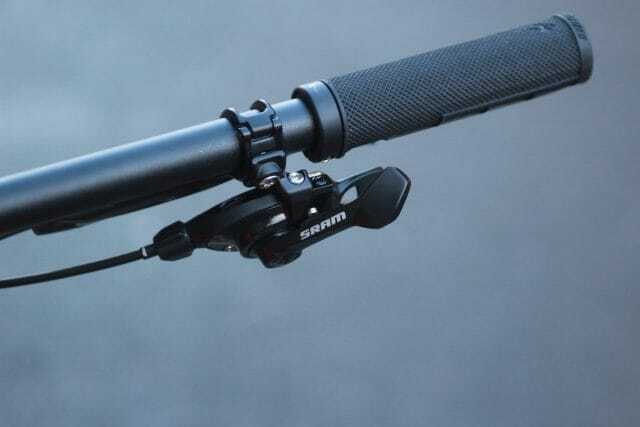 The carbon mainframe comes with the Specialized SWAT trapdoor on the downtube, for storing spares, a tube and whatever else you want to hide away from prying eyes. 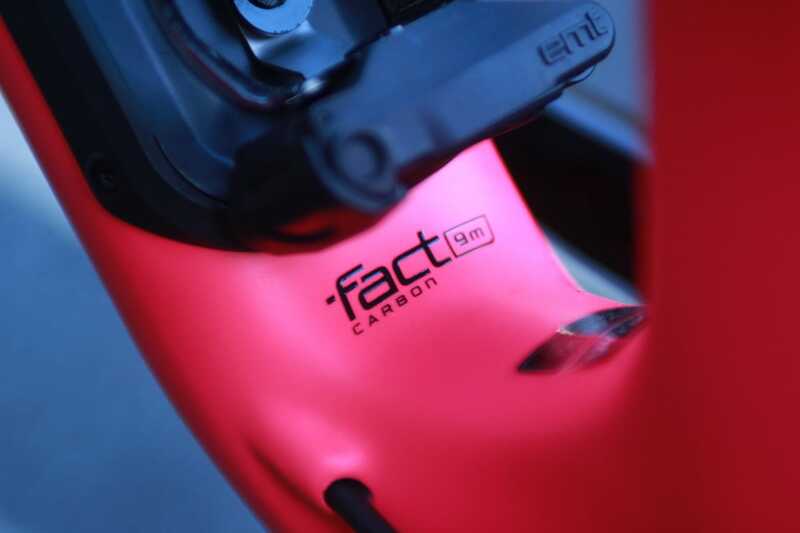 Compared to the Enduro Comp, the Elite upgrades to a FACT 9m carbon fibre front end. 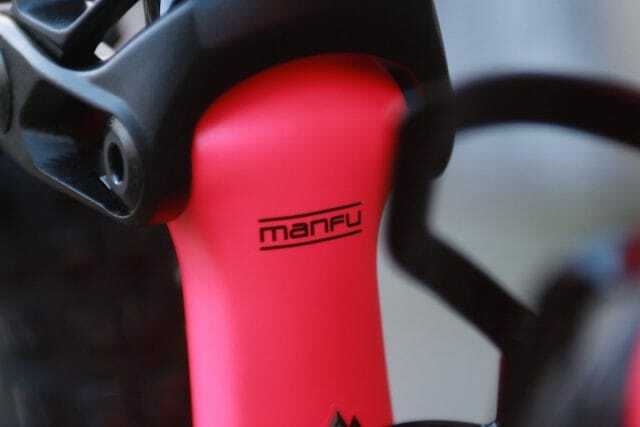 A forged ‘Manfu’ alloy rocker link connects the upper seatstay to the shock yoke. 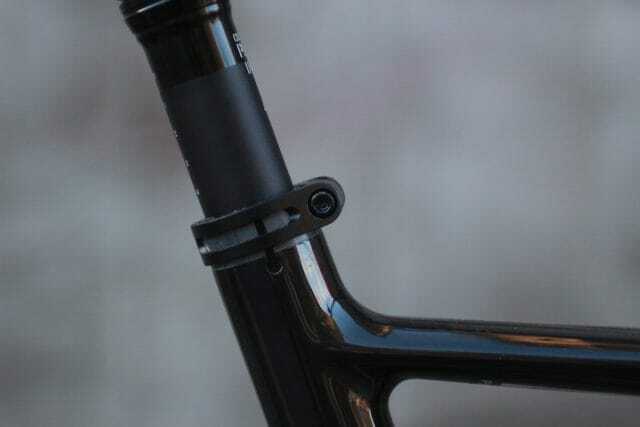 The lower eyelet of the rear shock is captured by an alloy yoke. The updated AutoSag valve has a captured dust cap now. 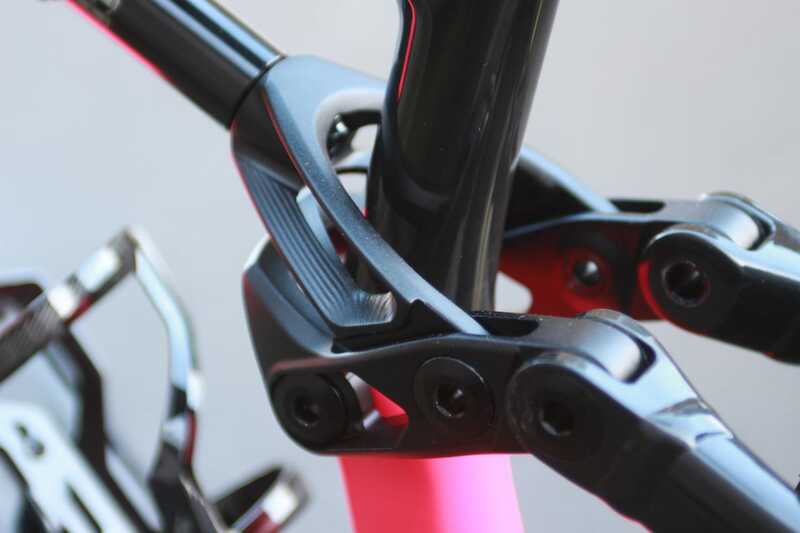 Ooh yeah – we do fancy ourselves a bit of machined alloy! 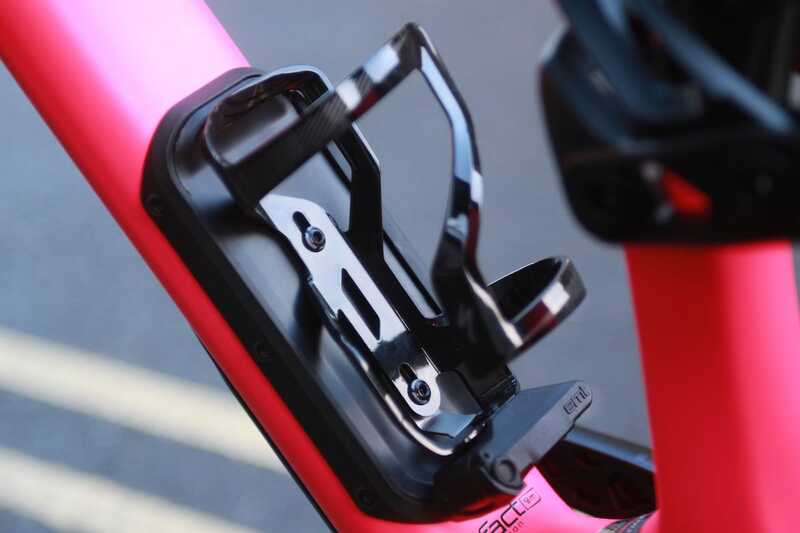 How’s that cable guide for the main pivot? 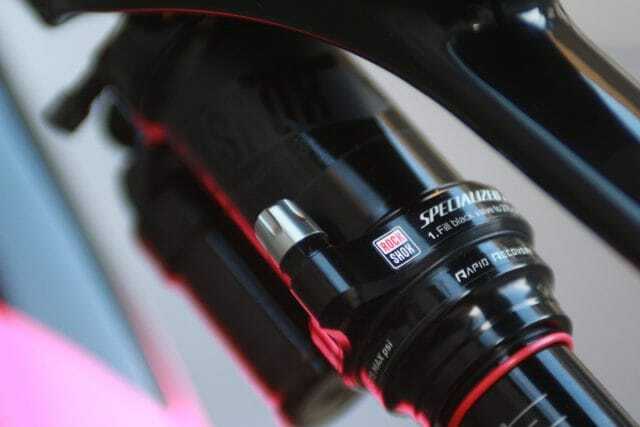 Also note the threaded bottom bracket shell – seems that Specialized is all about it these days. 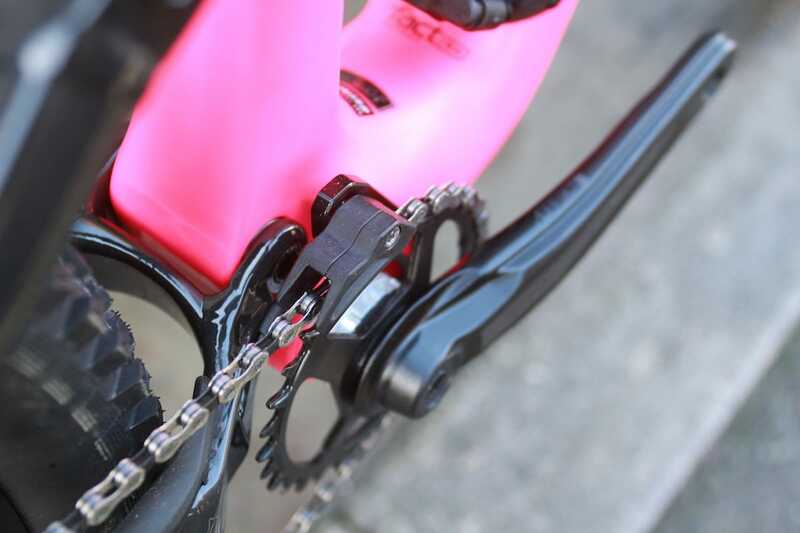 You get an upper guide paired up to a narrow-wide chainring to keep that chain in check. 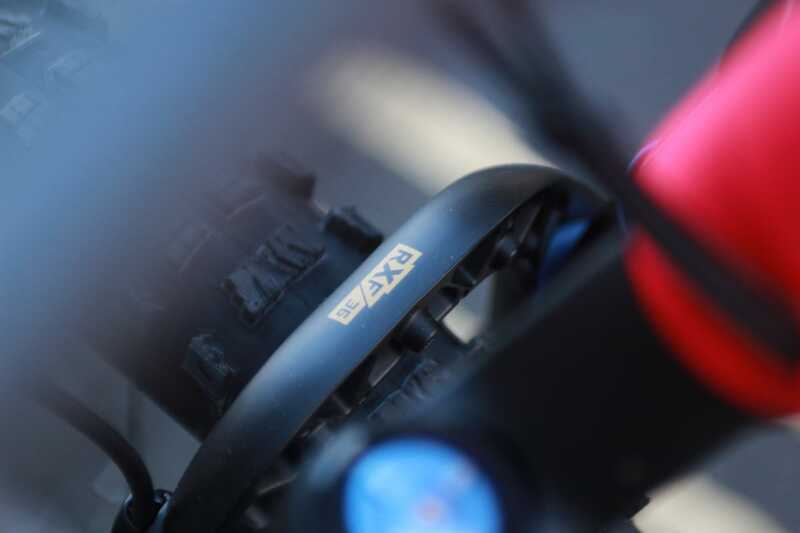 Although upper spec models come with Eagle shifting, the Enduro Elite sticks with a 1×11 drivetrain and Race Face Aeffect cranks. 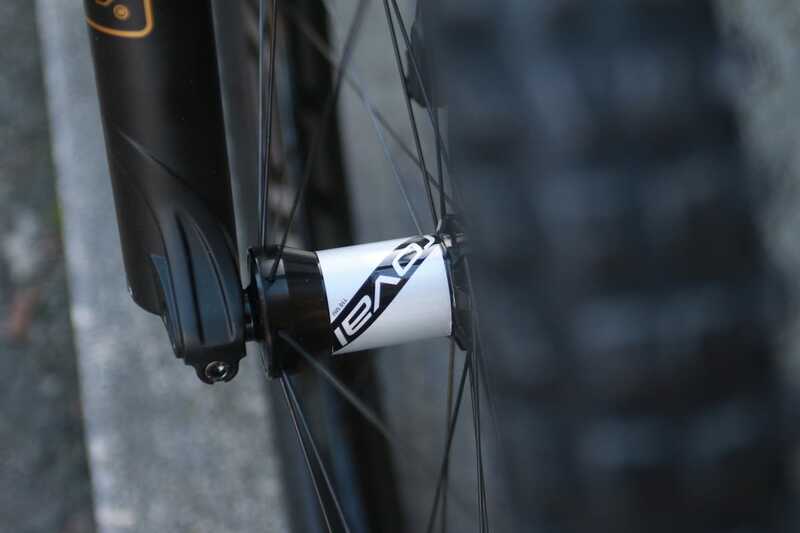 Alloy tubes are welded together to form the back end of the Enduro Elite. SRAM shifter. For shifting things. Powerful Code brakes, with a huge 200mm rotor on the front. Specialized’s SRL dropper lever is one of the best, so we’re happy to see it here. 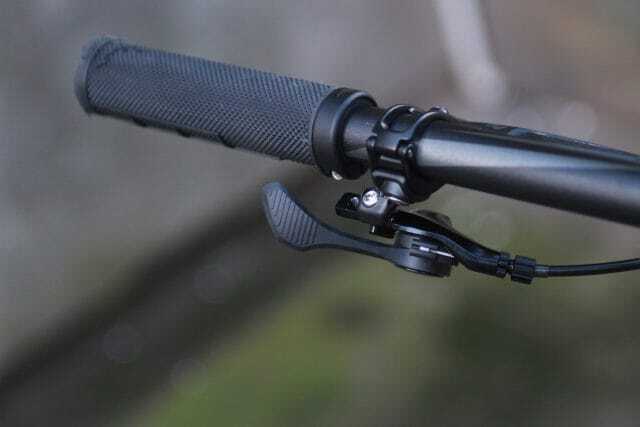 There’s only 125mm of drop with the stock IRcc post though. 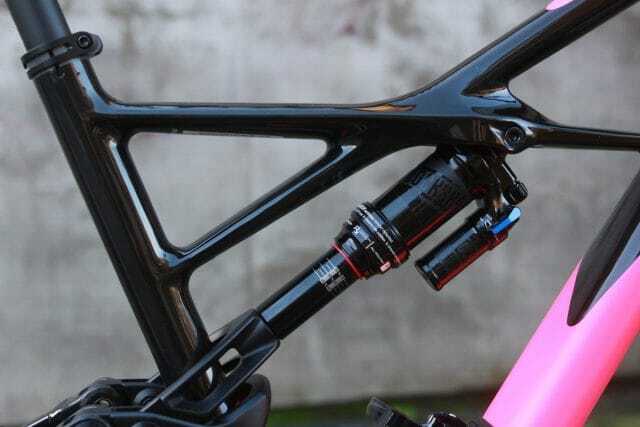 Look closely and you’ll see there’s a shim in there between the 30.9mm seatpost and the 34.9mm inner diameter of the frame – that’s so you can fit Specialized’s new WU dropper, which only comes in a 34.9mm size. Intake ports on the head tube swallow the dropper and derailleur cables, and the rear brake hose. 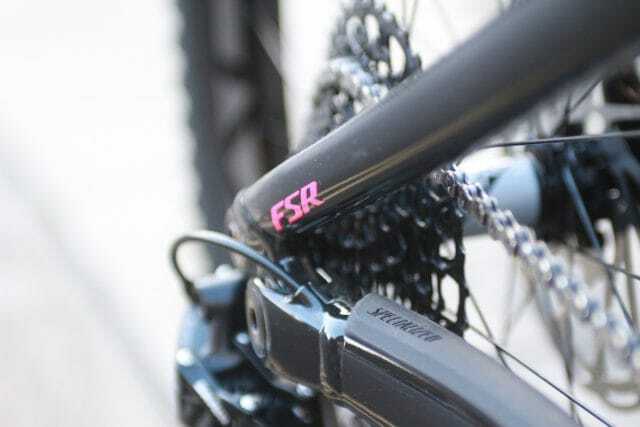 It’s the highly adjustable RXF 36 fork that we recently tested and reviewed. 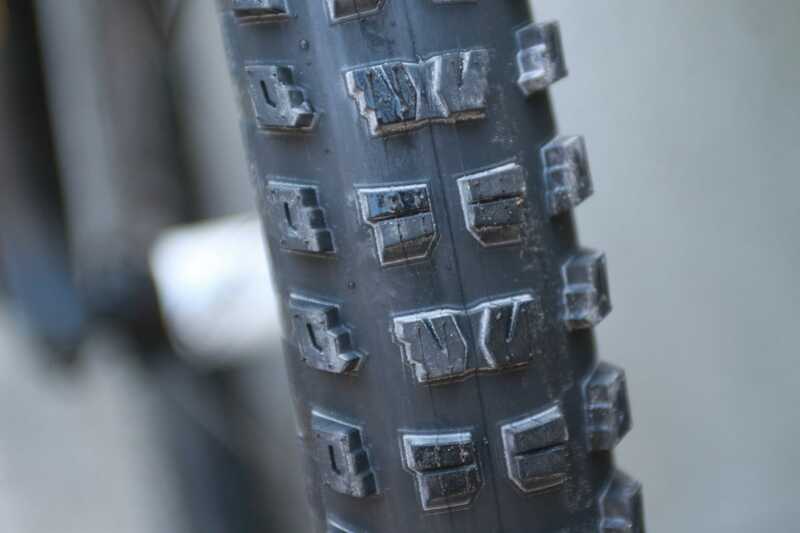 Specialized has updated the Butcher tread patter for 2018, and the Enduro 650b models come with the 2.6in wide version. Roval Traverse wheels run a 29mm internal rim width to support the plus-minus rubber. We’ll be testing the 2018 Specialized Enduro over the coming months to see just how capable the pink machine is, while also using it as a test bed for a few other bits and pieces that you’ll hear about in due course. 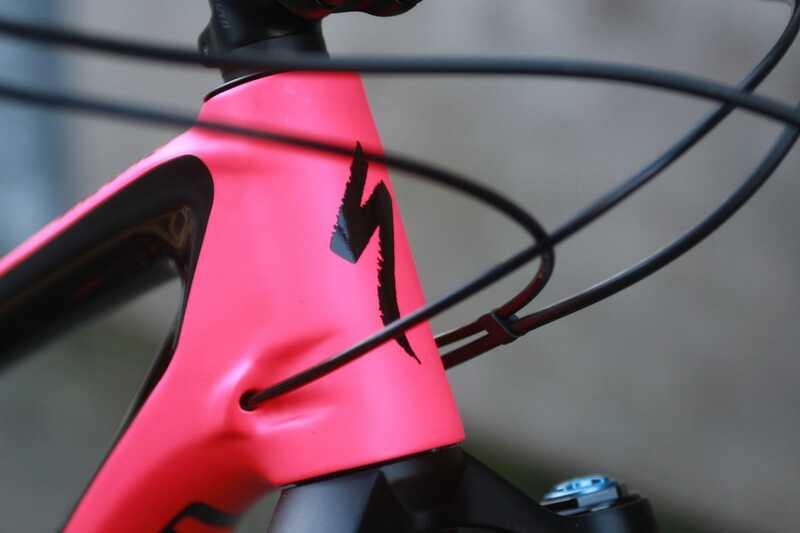 In the meantime, we’d love to hear what you think of this bike – are you into it? Tell us your thoughts in the comments section below! 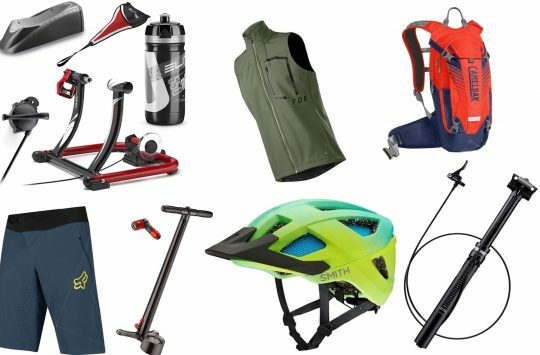 And if you’re after more information, you can get that via the Specialized website. 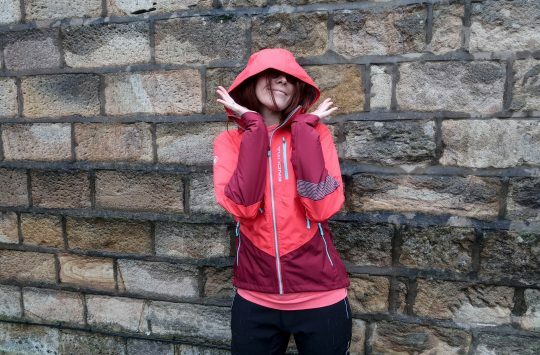 Does the hot pink float your boat? the battery on that must be tiny!